Sarah Owen and her sister Lily Allen opened a vintage boutique named Lucy in Disguise back in 2010. I had seen the Channel 4 series From Riches to Rags, which followed the pair as they launched the store and I developed a style crush on Sarah. She wore the most exquisite array of rare Ossie Clark dresses and looked utterly fabulous in every episode. I popped into the boutique to try on some dresses and fell head over heels in love with a £600, one of a kind vintage dress. 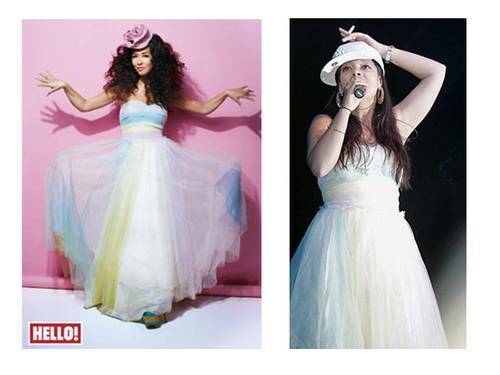 Since trying on the dress I spotted it in Hello magazine, modeled by Myleene Klass and a friend forwarded me the picture below of Lily wearing it at V-festival. Nice hat, Lily. As if to tempt me further, said dress is now on the homepage of the Lucy in Diguise website! Can you spot it on the brunette at the back? 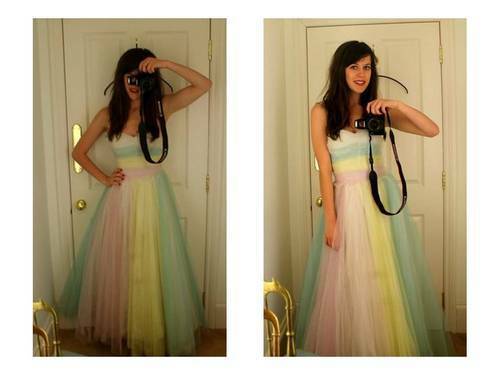 The dress certainly has history and it’s safe to say that it isn’t a piece of disposable fashion. Perhaps it is worth the £600 after all? 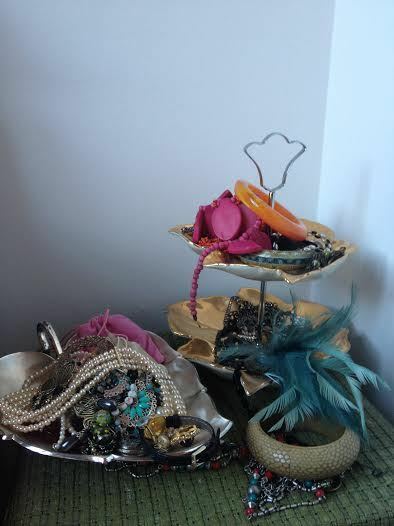 I’m a bit of a magpie when it comes to jelwery and as an ex-visual merchandiser, I am always looking for neat new ways to organise my nest of necklaces. 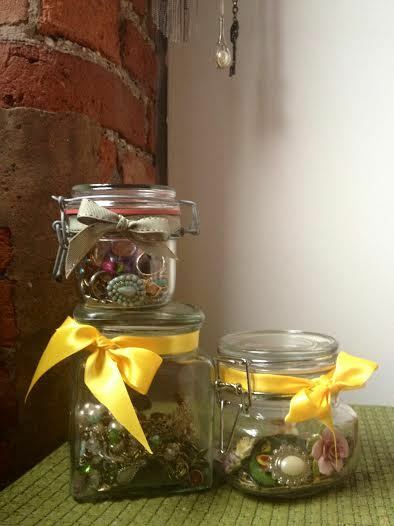 I used re-cycled mason jars to store my rings, broaches and bracelets. Not only do they look pretty but I can see exactly what pieces I have and then pick them out right away. See more of my dressing table here. Hello! This is my very first blog post here on Led by Lucy and it is dedicated to the art of clothes swap parties. Hosting parties is a bit of a hobby of mine, but clothes swap parties are an all time favourite. Who doesn’t want to party with friends and leave with a bundle of new threads, all the while knowing that you are doing your bit for good old Mother Earth!? Keeping our carbon footprint dainty can be difficult in a world of disposable fashion. Swapping is a much greener and far more ethical way of updating your wardrobe, and its super fun too! If your hosting a large party and have the luxury of two rooms, usher your guests into one room with music, drinks and nibbles. Take the clothes into the other room and keep it closed until the swapping commences. Once everyone has arrived and your goodies are all set up, its almost time to ‘swap till you drop’. I usually set one golden rule: If you brought Primark don’t take Prada!